Hello! My name’s Lisa. I’m the author and illustrator of five books with Penguin Random House, New York—though I live and work on the opposite side of the globe in Melbourne, Australia. It still amazes me that we (the publishing team and I) can bring into the world this very tactile, scrupulously made object without having ever met face-to-face. And then you, lovely stranger, in a whole other nook of the world, can hold that book in your hands and make those pages your own. This is a tangent (are tangents allowed in bios? )—but my Dad was telling me about a conference he went to as a young teacher and the lecturer was explaining the idea of ‘call waiting’ on a phone and none of them could fully wrap their minds around the idea. Call waiting! I think about that often. In 2009 I created The Scribble Project, prompting artists and doodlers to attack the same diary template in their own special way. At first nobody replied to the snail mail letters I carefully photocopied at Officeworks and packaged up at the kitchen table... but eventually, they did! And it was a thrill. Over the next few years I collected hundreds of diary pages from people all over the world. Soon switching to email delivery but always staunchly hand-drawn. 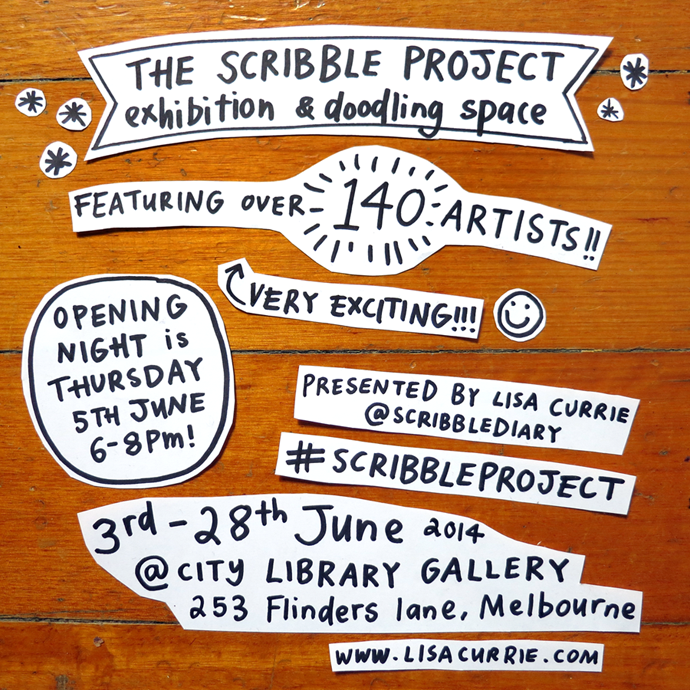 I hosted friendly online collaborations, self-published a colouring book and curated a big group exhibition in Melbourne in 2014. The Scribble Project was this very meandering side-project where I had total creative control to follow my whims. It gave me the gumption to say hello to people I was curious about. In 2010, about a year after I started The Scribble Project, the best ever email popped into my inbox. It said ‘I’ve seen your blog, would you like to make a book?’ and I just about passed out on the cold tile of my Mum’s kitchen floor. Now nearly a decade and five books later, I feel very lucky to get paid to do the thing I was once quite happily doing for free late at night until the sun came up. This bio has been surprisingly fun to write. Thanks for taking a moment to read it. You’re an attentive listener and I’m sure your friends love that about you!